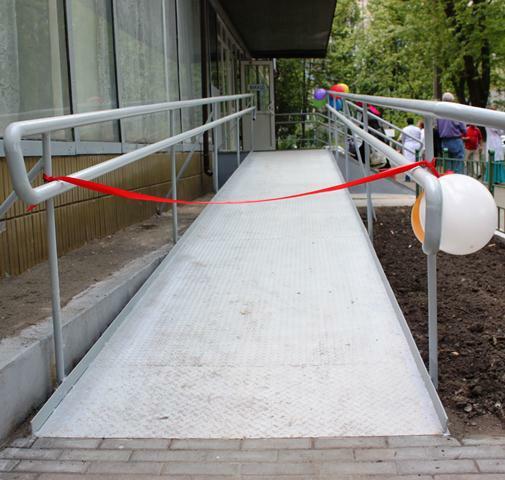 Nongovernmental organization Kyiv Municipal League of Public Organizations of People with Disability within the project “Ensuring the right to accessible environment for people with disability” announces a tender for construction work. Construction of ramps or other forms, creating access to less mobile and immobile groups. There is planned a construction of 5 ramps or other forms that create accessibility. For more information on facilities available please turn to the project coordinator. Having all the documents required for construction, according to the current legislation of Ukraine. Knowledge of the building standarts of Ukraine and of the other standards to create accessible environment and universal design. Possibility to make the supporting documents and permits for the implementation of the above-mentioned activities.